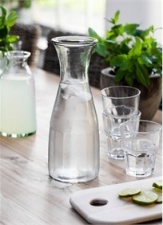 An elegant but resilient piece of glassware, this Bistro Carafe brings subtle Continental flair to any table. The simple, clear design matches well with any glass collection, and the wide neck makes it easy to serve ice in juice or to add a selection of fruit to infuse water with a fresh healthy taste. 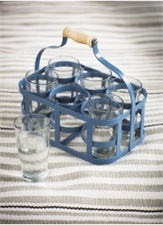 Perfect for outdoor or indoor dining and for serving anything from water to wine.